Skyforge will be officially launching on the Xbox platform early next month and will be available to play from November 10th, 2017 onwards. Originally launched on the PlayStation 4 and PC systems back in 2015 the multiplayer online role-playing game has been developed by Allods Team, in collaboration with Obsidian Entertainment. Watch the Xbox Skyforge trailer below to learn more about what you can expect from this online RPG 14 unlockable classes that can be swapped to at any time depending on your mood or the current game situation. 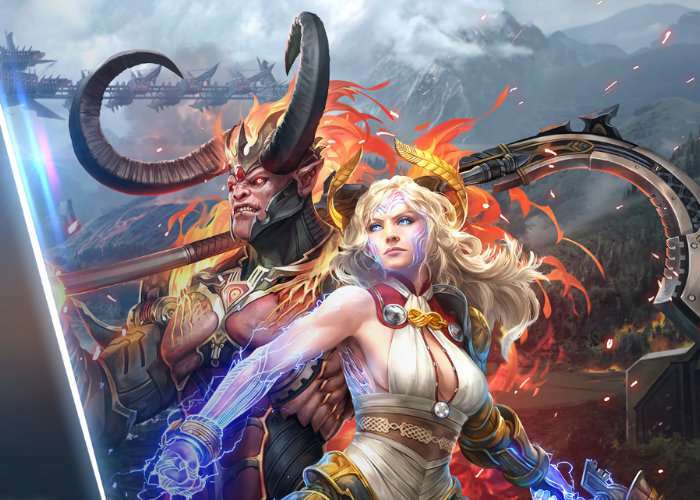 SKYFORGE is an action MMORPG set in the world of Aelion. Surrounded by other planets, Aelion is under constant threat of invasion. These otherworldly conquerors have attempted to seize and enslave Aelion’s population,and eons of failed invasion attempts have left traces of strange alien technology and magic, transforming Aelion forever. Led by their great guardian god Aeli, the citizens have learned to use these technologies and magic against their invaders. Before his departure into realms unknown, the great god managed to share part of his life essence. This power would be passed on to Aelion’s most worthy daughters and sons to forever protect his beloved planet. And you have been chosen.